Now you get to act on that moment via some mindful breathing as you let 'uss' in on who you are and what you desire as a retreat for your clients. This application is designed to allow you to answer intuitively as well as analytically. Feel free to answer either way, preferably both, and save a copy for yourself. Strategic Snake Immersion Ritual Retreat! Do you resonate with this quote by Henry David Thoreau and why? What have you tried in the past that has been successful? What hasn't worked? What else have you done to turn a dream like this into a reality? Other live retreats or gatherings? Who are YOU becoming? Do you feel the pulse of the Divine flowing through you? What are you creating in your Life, your Relationships, your Career? In other words, are you embodying your wild Divine nature? What attracted you to apply for this unforgettable opportunity? 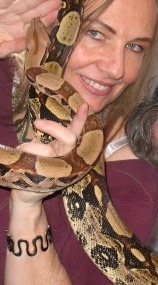 My work in Snake Medicine is very intuitive based. 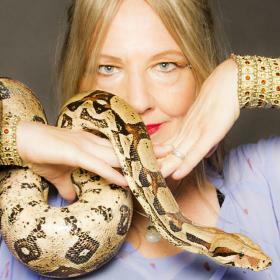 Together, we will hone in on the intuition surrounding yourself and your clients, helping create an awareness of intentions and actions within the Snake Ritual. What role has intuition or inner wisdom played in your life? What do you see as the benefits of working with the Snake teachers and receiving their mystical healing and natural support? What does that look & feel like for you? For your clientele? Which Outcomes/Benefits are you most focused on having your clients receive? On a scale of 1-10 (10 being highest), How willing and ready are you to significantly invest emotionally, energetically, and financially into yourself and your clients becoming an even greater expression of yourselves?